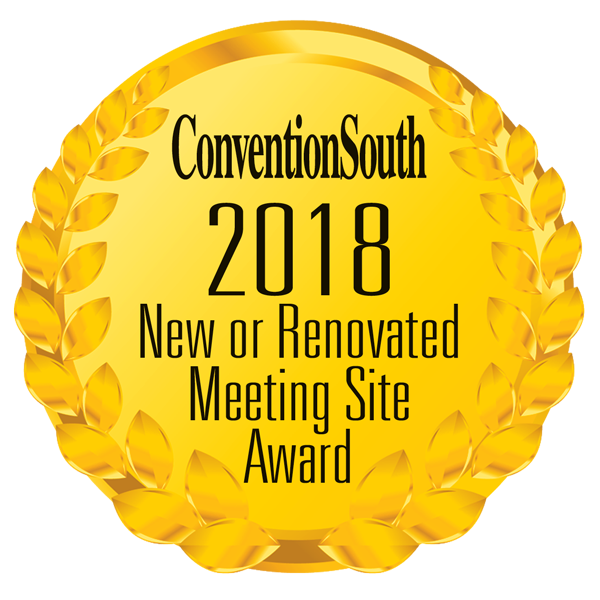 It is with great honor that the publishers and editors of ConventionSouth, the national multimedia resource for planning events held in the South, present Plano Event Center with a 2018 Top New or Renovated Meeting Site Award. Plano Event Center is among an elite list of 66 meeting facilities located across the South (and only 9 in Texas) to receive this year’s Top New or Renovated Meeting Site Award. As part of the recognition, Plano Event Center is featured as an award recipient in the December 2017 Awards Issue of ConventionSouth magazine. This exciting issue showcases our Readers’ Choice Award Winners and some of the most talented meeting professionals in the nation as ConventionSouth also presents planners with its annual “Meeting Professionals To Watch” designation. “Featuring peer advice and trade secrets from our Meeting Professionals to Watch in 2018, our Awards Issue is one of the most popular must-read resources within the meetings industry,” Bradford said. Celebrating 30 years as a leading meeting planning resource, ConventionSouth magazine is based in Gulf Shores, Ala., and is distributed to more than 18,000 meeting professionals located across the country who book meetings held within the South, according to Bradford.A complete list of 2018 New and Renovated award winners can also be found here.